Several months ago, I saw a picture of a little girl wearing the exact outfit Felicity is wearing in these shots plus a polka dot tie (the one you saw in the Scavenger Hunt…the same one that baby Camden was wearing last week). The girl was a few years older, but I figured it might make for a cute Valentine’s Day outfit. Who knew that trying to capture Felicity in this outfit would be so difficult. The first time we attempted any sort of photo shoot (at Michelle and Madeline’s house), Felicity had a meltdown. She just did not want her picture taken…mostly because we were approaching nap time. I thought that going outside with the freedom to run might create better results. I also thought the addition of a dozen red balloons might be fun. Well, after getting the balloons, we went to a local park. I thought it was going to be warmer than it was. I also underestimated the challenge factor of maneuvering balloons by yourself. Then, she had meltdown #2. I decided to pack up the balloons just as a park ranger was approaching me to tell me that balloons weren’t allowed in the park. No problem – we were just leaving. It took me a little while to calm Felicity down long enough to get her buckled in, but we eventually made it home. Needless to say, she was worn out and took an afternoon nap (a nap that I thought she had dropped a couple of months ago). 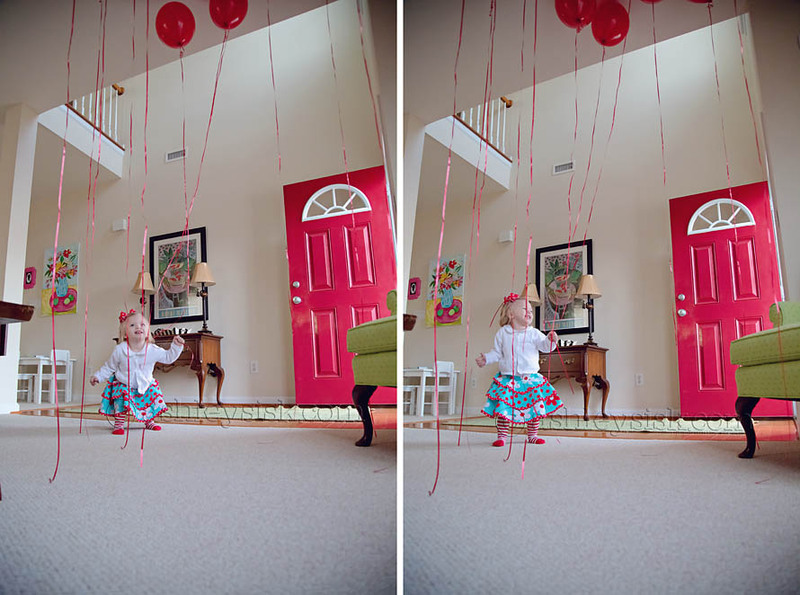 When she woke up, her daddy came to the rescue and we brought the balloons out one more time to play. 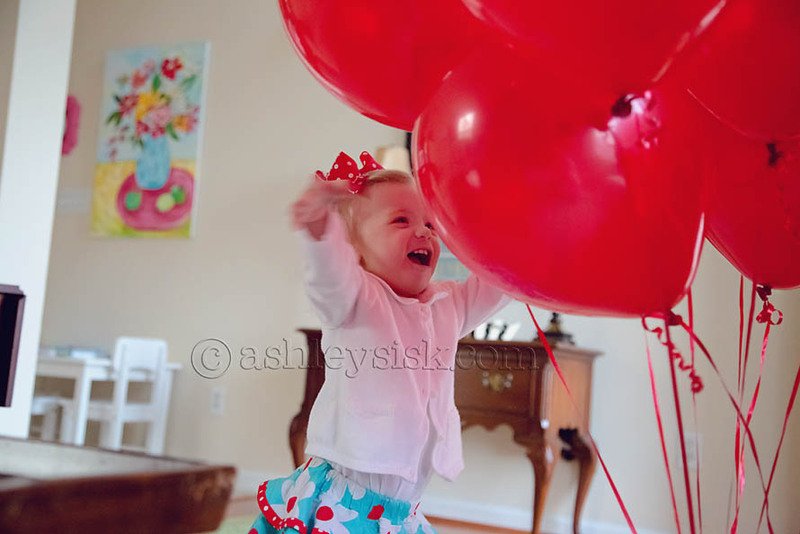 As she was waking up, we slowly reintroduced her hair bow, shoes and the balloons. She was having a blast and I’m so glad I was able to capture it all…even if it wasn’t what I initially had in mind.